Fashion models and us ugly people alike both know the importance of skin care. Proper skin care goes a long way to letting people know you live a clean, healthy lifestyle. But, in the case of fashion models, there is no substitute for healthy skin. It’s the norm. For this reason, I’m digging into my skin care routine and talking about something that changed up recently in one of my favorite eye serums. Anti aging products seem to be popping up everywhere these days with promises of making us look younger by the day. It seems everyone promises they can turn back our clock with some magic formula that we are to apply to our face on a daily basis. Well, one product I’ve used for the last year – one that I swear by – got a much needed makeover. 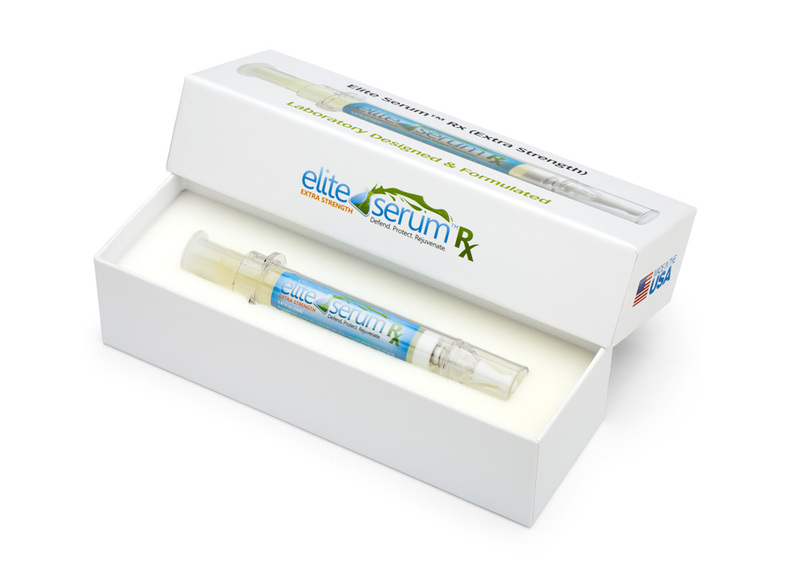 It’s called the Elite Serum Rx, and it’s made by a laboratory in South Florida. The same people who make it also operate other skin care brands, but this if by far their best product. The product itself is rather funky. It’s sold in a very unique, eye-catching airless syringe style pump. It doesn’t hurt! Don’t worry, it’s not like botox or a liquid facelift where there is some sort of dermal filler! It’s actually a very fresh, smooth serum that glides onto the skin and covers up any signs of aging we get as we age. The normal ones I get are dark circles and puffiness, but it works on eye wrinkles as well. I’m not old enough for those to get onto my face, but one day, I certainly will be! So, the big makeover I was talking about is the packaging. You see, the product, until a few days ago, showed up at my door with just a bubbled wrapped style mailer and a product on the inside. It’s one of the most expensive eye serums you can buy, but it didn’t even include a box! I’m sure many people were turned off by it, but since it worked, I stuck with the product. Now, it’s a product I feel proud about gifting to other people. It has a new luxury appeal to go along with it’s luxury price point. It’s one of the coolest pieces of cosmetic packaging I’ve seen in ages. It’s really sharp, hip, and smart. It reminds me of an Iphone box, to be honest. Here’s a product photo do you can see what I’m talking about. Elite Serum Rx and it’s new box! Since I’m not the best at talking about products, I figured this YouTube video would really be the best thing to show you how the new product looks. It talks about how it’s in Vanessa’s skin care routine and really shows it off. Should I Become a Cosmetic Dentist?